The Australian Defence Export Office and Austrade have signed a memorandum of understanding (MoU) to engage with local industry experts in key defence export markets. Minister for Defence Industry Christopher Pyne said the partnership is the first step towards offering enhanced export support for Australian defence businesses, and will see Austrade capitalise on whole-of-government expertise and knowledge of foreign markets to assist Australian defence industry to access greater export opportunities in London, Paris, San Francisco or Washington, Abu Dhabi and Tokyo. 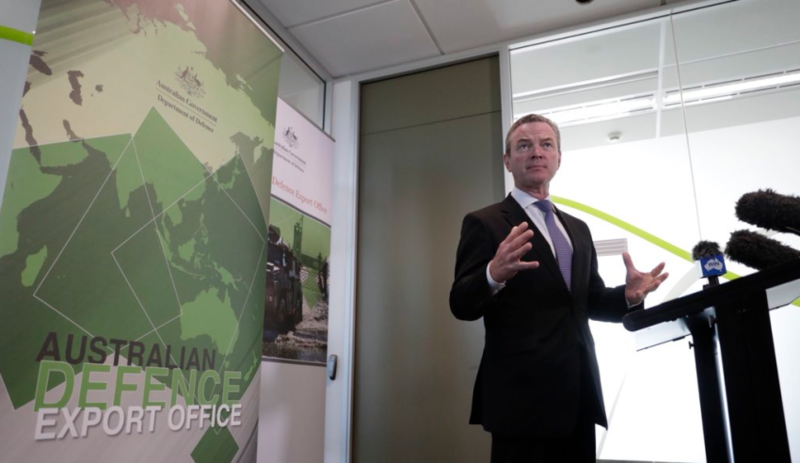 "Co-operation between Austrade and the Defence Export Office is one of a range of initiatives being delivered under the Defence Export Strategy, to drive a more competitive defence industry to support Australian Defence Force capability," Minister Pyne said. "A strong, internationally competitive and sustainable defence industry is key to meeting Australia’s current and future defence capability needs." Minister for Trade, Tourism and Investment Steven Ciobo said that local industry experts, working closely with the Defence Export Office, will provide advice and support for Australian defence businesses using Austrade’s established international networks to assist in navigating foreign markets. "The MoU is another step in supporting the Defence Export Strategy and employing industry experts across several overseas Austrade offices will assist exporters in navigating foreign markets to grow their business," Minister Ciobo said. "Growing the defence export sector will boost the Australian economy and build upon the Turnbull Coalition government's strong record of job creation." The MoU was signed following last month’s inaugural Defence Export Forum, which aimed to provide an integrated national approach to Defence exports and included representatives from Commonwealth agencies, state and territory governments and industry peak bodies. The Defence Export Office was opened in April as a key pillar of the recently released Defence Export Strategy. Former minister for defence David Johnston was also announced as the inaugural Defence Export Advocate, another key initiative of the Defence Export Strategy. The strategy also includes $20 million per year to implement the Defence Export Strategy and support defence industry exports, including $6.35 million to develop and implement strategic multi-year export campaigns, $3.2 million to enhance and expand the Global Supply Chain Program, and an additional $4.1 million for grants to help build the capability of small and medium enterprises to compete internationally.